Shanghai, China has grown into a hotspot for models due to the potential for high earnings. Known as the endless city, Shanghai has become a cosmopolitan city bursting with activity twenty-four hours a day. For the models who crave a bit more excitement in their daily routine besides castings and bookings, Shanghai could be a great potential market. But with long work hours and seemingly endless clothes racks, working models will find themselves busy and exhausted and wanting to rest whenever possible. That being said, modelling in Shanghai isn't for everyone. For models who can get past the culture shock and work dynamic, the market can be incredibly profitable time and time again. The standard for models in Shanghai has gone down over the last 4-5 years. After people became aware of the good money that agencies could make, people that weren’t familiar with the fashion and modelling industries opened agencies. In addition, bookers from older agencies decided to open up new agencies or become freelance bookers working for multiple agencies at a time. In order for these new agencies to start up, they would take on foreigners just to have a board of models. Although it sounds ridiculous, this is the reality in Shanghai. As such, you will see “models” with a wide range of looks and sizes. However, the typical female model who works well in Shanghai is slim, fair skinned, has blue eyes, and a small V-shaped face. Both Chinese clients and consumers love models with small faces and chins; whereas Japanese clients and consumers have a preference towards models with rounder faces. Although blondes work well in China, brunettes tend to fare better. This holds true for Asia generally, with the exception of Tokyo. The competition amongst blondes is high, and brunettes – even with blue eyes – are usually better at catering to Chinese consumers. However, a model's bookings aren’t usually dependent on their hair colour. Male models tend to fall into two categories in China: slim and editorial, or muscular and “manly.” The editorial male models are usually slim and will do catalogues and campaigns for different Chinese fashion brands. The muscular men will usually work the suit or underwear jobs. 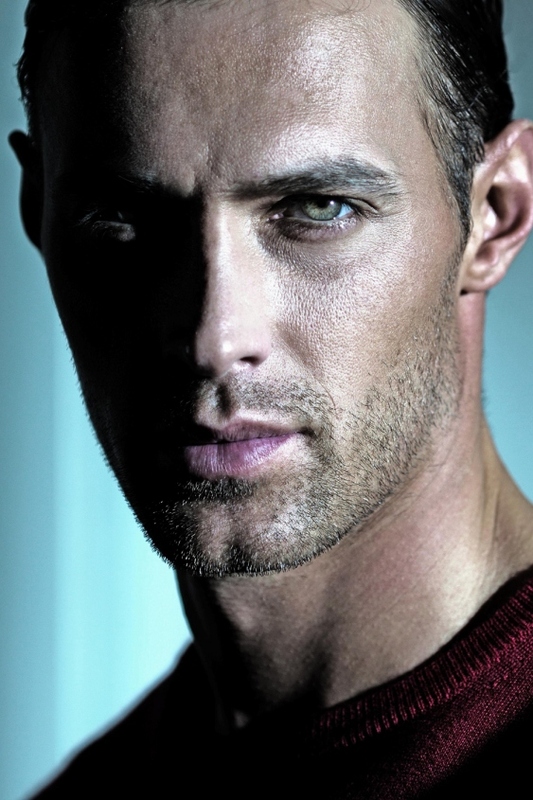 Male models with either light or dark features work well in the Shanghai market. In order to work well in Shanghai, a female model's hips must be no larger than 35”. Although this also depends on the agency and their clients, a standard 34" (88cm) hip works best. This is because for models there is a preference for smaller buttocks in order to fit into the clothes. The clothes in China are already quite small and clients prefer if the clothes lay flat on the body. For lingerie work, clients also prefer for models to have a small buttocks, but larger breasts. There are some female models in Shanghai who have a 36” (92cm) hip but that depends on the agency’s preferences and their clientele. A model that is in her late 20s can continue to find success in the Chinese market as long as she looks young and has had previous success in the market. Clients in China love younger models and many models begin travelling to China for work at the age of 16. 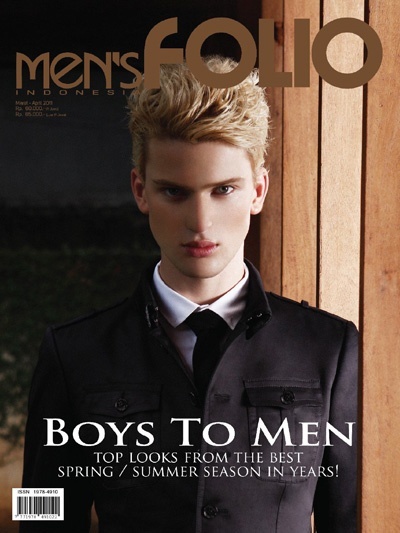 Male models that are in their late 20s can also continue to do well in Shanghai. But they need to be able to then fit into suits and casual wear because they will no longer be able to work for the fashion catalogues. Many models go back to Shanghai and China at least once or twice a year for several years. Models can go to multiple cities in China but should stick to going to each city only once per year. Clients usually will not want to use the same model again so soon. The following is a list of models who have found success in Shanghai (and China in general) for more than a few years. They have become renowned amongst many clients all across China and have all made a very good sum of money on each trip. But there's a catch: all jobs (except for runway, editorial, and TVCs) pay the same. All campaigns, catalogues, and lookbooks pay the same hourly rate for both male and female models, unless they are modelling lingerie. Even then, the difference is only about 100-200 RMB more per hour. This is a big reason why China is a large deterrent for many models. Normally, a model can earn thousands of dollars for a campaign, but in China they’re paid the same rate as they are for catalogue work. Over the last 5 years, the rates in China have decreased significantly. Five years ago, the average catalogue rate for a model in China was 1200-1300RMB/hour. Today, a good model from a good agency will earn about 800 RMB/hour. The rates go even lower to 600RMB/hour, depending on the agency. The rates have decreased in Shanghai because so many new agencies have opened up and the market has seen a large influx of models with each passing year. The newer and less experienced agencies have also been known to low ball (charging clients a lower rate than competitors) to sway the clients in their favour. Despite this, many models still return to the market because work days can be upwards of 8-10 hours long and a good model can expect to work 6-7 days a week. The money adds up and the model can end up earning a substantial amount. Although there are some good photographers to work with, nobody goes to China to get tear sheets. The quality of the photos is nowhere near that of Europe and any photos done will most likely not be usable (with the rare exception). If the model plans to return to a market in China, they could be useful. In this case, the model should consider getting a contract with Esee because they are the agency that most of the editorial work is booked through. If a model does want tear sheets and they're in China, they should consider going to either Beijing or Hong Kong. Even so, all models know how difficult it is to see any published photos from their jobs in China, especially from catalogues or campaigns. Some models take USB sticks to their jobs in order to get the photos and usually the client will comply. The photos are unlikely to be useful for the model's portfolio though. The irony in China is that clients often copy current advertisements (like those for H&M) but are afraid to send anyone their photos because they think other companies will copy their images. Rate: The rates for editorial in Shanghai are the lowest of all jobs and are usually under 1000 RMB, which is approximately $150 CDN/hour. There are some TVCs (television commercials) shot in Shanghai. Although they don't happen too often, developing a reel is always a good idea and can open up more doors for a model. The reels are particularly useful if a model chooses to continue working in Asia. Otherwise, the commercials usually will not be useful for American or European reels. Rate: The rates for TVCs vary, but they usually are between 700-900 RMB/hour, or approximately $120-150 CDN/hour. Some models choose to not do runway because they decide that the hours are long and the low rates aren’t worth their time. Many models would much rather spend their time working a catalogue or even going on castings to potentially book larger jobs. Although at the end of the day your goal is to make money in China, it's up to you whether or not you want to do this kind of work. Rate: Less than 2000 RMB for the entire show. To put it in perspective, that is less than $300 CDN for the fittings, run-throughs, and actual show time. 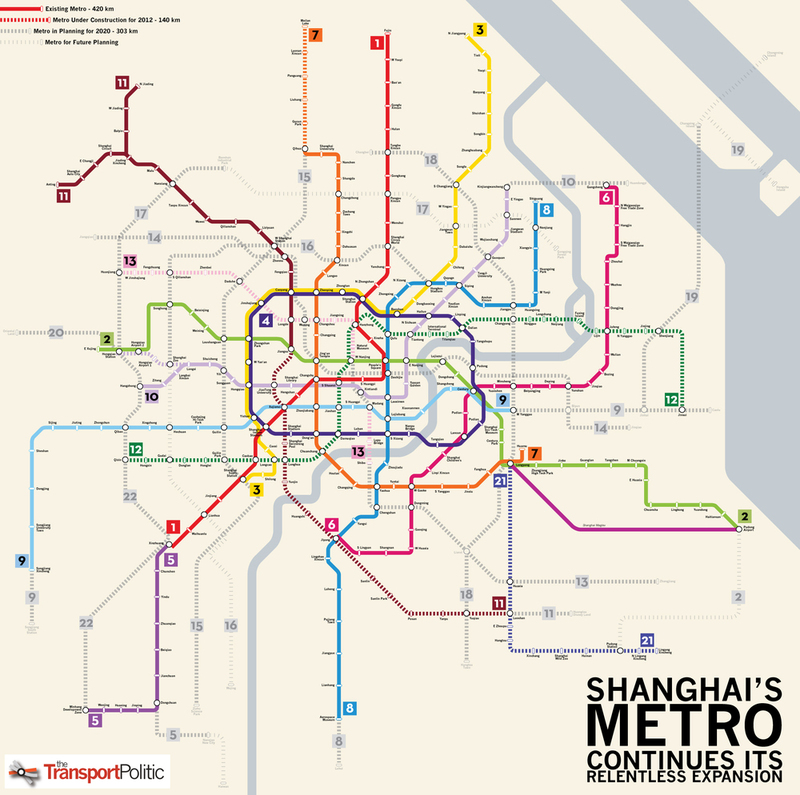 The busiest time in Shanghai is November-January and June-August. There are a lot of castings and jobs during this time but also a lot of models. Generally, Shanghai is busy year round except for February, where the entire month is dead due to Chinese New Year. The above list includes only some of the agencies currently running in Shanghai. The amount of agencies in the city has increased significantly over the past 4-5 years. What once started at about 10 agencies has grown to 30-40. The list above includes the most well known agencies in the city today. When you are on the job, it's always good to be really professional and nice to the client and especially to the people who work at the studio you're shooting at. If a model is nice, fun, and poses well, the studio will use a model upwards of 8 times during their contract period. Even though Shanghai is a common market for new faces, the older and more experienced models tend to do better. This is because they often don't need direction and clients appreciate a model who can deliver a new pose right after the other. Do your best with your poses and try not to think too much of it – just go. During the shoot, models will find themselves experiencing a language barrier. 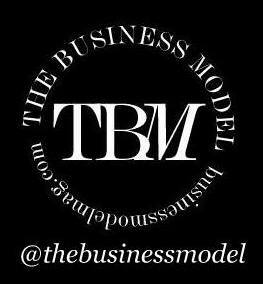 Some agencies do have their bookers attend jobs with their models to help assist them with communication with the client. But there will be days when a model might have to go alone. The work in Shanghai becomes repetitive and tiring over time, leaving many models resentful of their work. Many models choose to be in the industry because they like being part of a creative process or work with a really great team. In Shanghai, the work is hard, redundant, and dull. But if a model is just focused on earning potential, they'll have no issues working in Shanghai. Models can also be expected to have between 50-150 changes of outfits per day. Sometimes the client will just want a few shots for the campaign and spend the rest of the time on the catalogues or lookbooks, doing quick changes to shoot all of the looks. At a job that is 6 hours or more, you will have a lunch break. If you don't eat meat, ask your booker (if they are not on the job with you) to write down on a piece of paper that you don't eat meat so you can show the client. You can alternatively pack your own lunch, which many models choose to do. Jobs can become quite hectic, especially if you have a lot of outfit changes. At some point, you will need to go to the bathroom. Even if the client is annoyed or frustrated, you are allowed to have a bathroom break. It's a basic right, not only as a model, but as a human being. Note: The rates provided above are only to serve as average estimated figures of the potential earnings that can be made. A model's rate can be higher or lower and is dependant upon their agency, client, type of job, terms of usage, modelling work experience, and reputation in the fashion and modelling industries. Be happy - When you are at jobs, try to leave your personal life out of your work. This doesn't apply just to Shanghai, but to all markets. Clients love it when a model has a lot of energy and is always happy and eager to shoot. The client or studio then feels more inclined to book the model again in the future. Be open-minded – Models in Shanghai need to be open-minded. Many models will experience some degree of culture shock and this is normal. Models must be open to the new experiences and be understanding of the people and their customs. Food – Many models may find eating in China difficult, especially those with dietary restrictions (gluten intolerance, lactose intolerance, vegetarianism, etc.). Although the local food in Shanghai is delicious, a lot of it is also cooked in heavy oils and there is a lot of “mystery” meat that street vendors sell. Shanghai has grown into a cosmopolitan city and there are many restaurants to choose from. In general, food is very affordable in Shanghai. Getting cancelled - If you get cancelled from a job in China, chances are it wasn't your fault. As arrogant as it may sound, many clients in China have no idea what they want. Models have been sent home from jobs for having the wrong eye colour, even when their comp card clearly stated their accurate eye colour. If this happens to a model, they shouldn’t take it as a reflection on them professionally. Go with a strong portfolio – Although Shanghai has a lot of new faces, clients love models who come into town with experience and a strong portfolio. Chinese clients are all about prestige and if you have a lot of high quality tear sheets you'll be known as a good model and book more jobs. This eagerness for tear sheets and prestige has led to the new phenomenon of fake tear sheets. Many agencies in Shanghai (and China in general) create fake tear sheets with “Vogue” and “Elle” photoshopped onto them to boost the model's status in order to book jobs. In Shanghai, models will get to and from castings in a casting van. The agency has a driver that will drive the models around the city along with the booker(s). If the casting van is available, models will get a ride from the agency driver to their jobs. If not, the model will be asked to take a taxi, but will be reimbursed by the agency. If the job is on location and far away, the model will usually get a ride from the client and get dropped off at the studio or meeting point. Your success in the Chinese market is largely dependant on your posing ability. A beautiful face and portfolio are not enough to get you jobs from castings and could cost you a lot of potential earnings. Be sure to practice your posing in the mirror and if you are new, watch other models and learn. As long as you're always moving, even a slightly different hand gesture than the last pose can help prove your professionalism to the client. Click here to refer to our Asia Posing Guide for more information on what to expect. You can also check out our Asia Posing board on Pinterest for further visual suggestions. When you go to China, you won't have access to Facebook, Youtube, or Twitter. If you use any of these websites often, it's recommended that you look into purchasing a VPN. Some models might even find it refreshing to have a brief hiatus from these websites. But for those who use them often and need them for work, purchasing VPN is encouraged. These can be purchased online and there are many to choose from by simply performing a Google search. For those who don't want to purchase a VPN, there are some free online proxy servers that models can use but those get shut down quickly and change often. You can find them by performing a Google search e.g. "free proxy servers" but they won't work nearly as well as a VPN. Skype often! - Stay in touch with loved ones! China might be a market where a model can make good money, but it comes at a cost. Many models experience a lot of stress in China because the jobs aren't easy and are a lot of hard work. Skyping with family and friends can help maintain a model's sanity during their “money run” to China. Agency Commission: 30-40%. This doesn't include the mother agency commission that is an additional 10%. An agency in Shanghai will advance all of a model's expenses including airfare and accommodation if requested. A guaranteed contract in Shanghai can be anywhere between $10,000-$20,000 gross, depending on the models experience and portfolio. All net earnings will be paid to the model in cash (USD) one day prior to their departure from Shanghai. This makes Shanghai and China in general an appealing market to some models because they don't have to wait for months to receive their money. A contract for Shanghai can be anywhere between 30-90 days. A model that has either a very strong portfolio or has been to the market before can come for a shorter period of 30-45 days and earn very good money. Models interested in going to Shanghai will be required to obtain a Chinese work visa from the closest Chinese consulate to their hometown. Note: The Business Model does not endorse or encourage models working overseas on a tourist visa. However, many models do choose to work on a tourist visa as an illegal worker. If the model does travel to a market for work on a tourist visa, they do so at their own risk and are working in contravention of the law. Depending on which area of the city you are in, you will find that some people at restaurants or shops do speak English. On the outskirts of the city centre, many local people don't speak English very well if at all. The model apartments in Shanghai, for the most part, tend to be a really good size. Many also come with a swimming pool. But the apartments tend to get dirty quickly and become breeding grounds for cockroaches, so models should always clean up after themselves! If you decide to go to China during the winter (November-March), the apartments get very cold. None of the apartments in Shanghai (and most of South-Eastern China) are insulated. Even though the apartments have large heaters, they usually don't go past a certain temperature (e.g. 32 degrees Celsius) and the heat escapes out the window. Be sure to bring lots of sweaters and warm clothes! People: Shanghai is home to more than 23 million people and you will meet a diverse range of people. Shanghai is also home to a lot of expatriates and foreigners as well. Chinese people tend to be very conservative and shy but for the most part treat foreigners well. There are certain local mannerisms that models who have been to the market have found tough getting used to, such as the loud slurping when people eat or the constant spitting. These habits can be annoying but be empathetic and accept it.